I had the idea to use the "magic chocolate mousse" for a cake for a long time, and this summer I got around making one first version of it! The cake did not turn out super-perfect, but it was one step int he right direction, and was highly approved by the ones sharing it. A bunch of kids also had this and they were totally fooled, thinking they were eating “conventional” chocolate cake. Ta-da! I make a lot of raw food cakes and bars and goodies. I do bake a lot of sweets in the oven too, somewhat healthy and then not so healthy, vegan and non-vegan as well. With raw food I like the fact that you can make something taste totally chunkadelic while it is still basically full of only healthy ingredients. (Raw food cakes are of course not light in calories, with lots of nuts and seeds and dried fruit, but you also tend to eat less of those as they are rather heavy. And, for most people they still don’t make you feel as stuffed as after having ‘normal’ cake). Sometimes healthier versions of the "real thing" mostly taste good only because you tell yourself it does, but with raw sweets I don't think that is the case; they taste just as good, sometimes in their own way, sometimes in the same way as with butter and sugar. 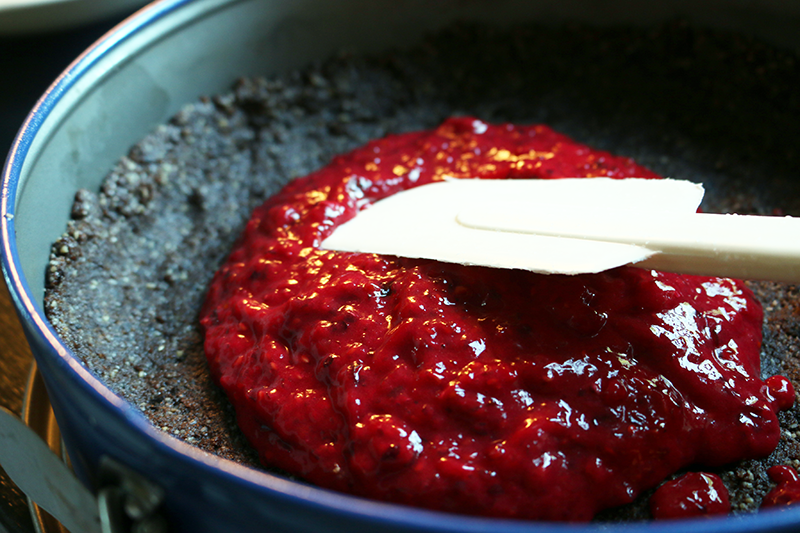 I made a crust using nuts, seeds and dried prunes(plums). 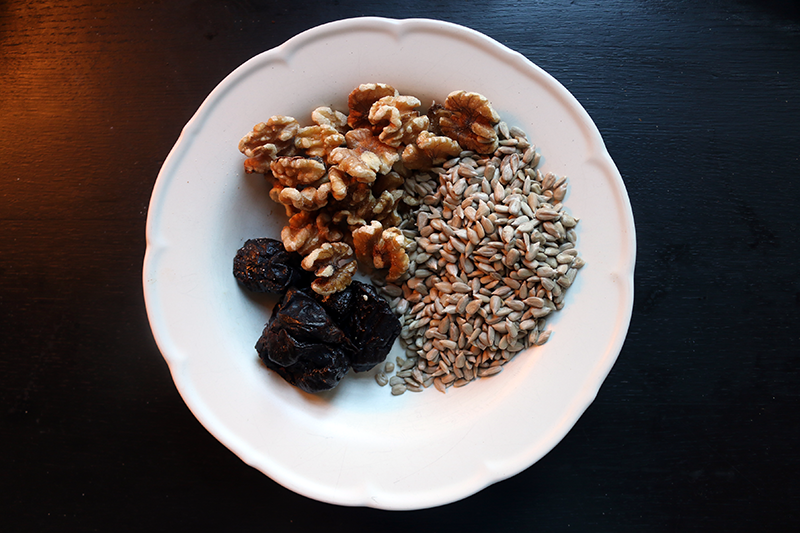 3 dl of sunflower seeds and 70g of nuts (I had walnuts) and 12 plums. Sunflower seeds give a full, kind of butter-like feel to the dough. I have made raw brownies using only sunflower seeds as I was serving it to a person with nut-allergies. it works very well. 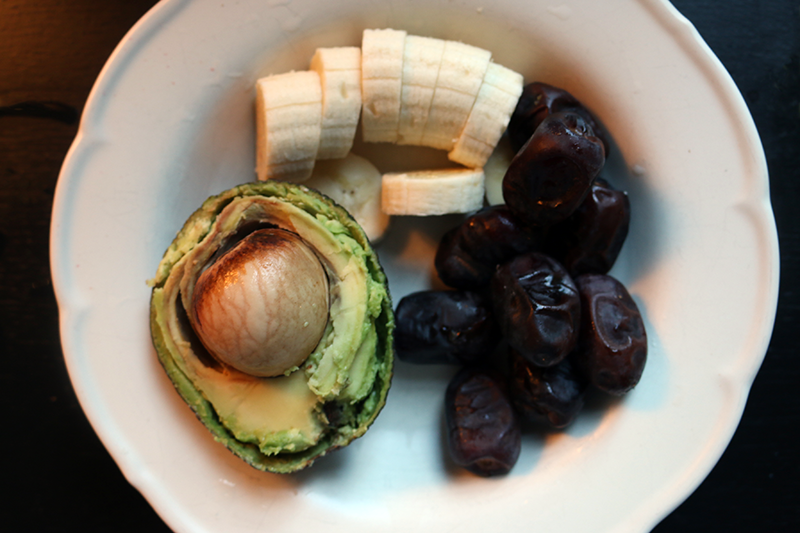 Most raw food sweets contains dates in different form. If you grow tired of them you can try using other dried fruit instead, plums, figs or apricots etc. I love dates, but sometimes change them, mostly just for variation in recipes. These plumes were not very sweet so I added a spoon of coconut sugar. Then in with 1,5dl of coconut oil and 2dl of cocoa powder. -personally I think regular powder works as well as raw - and a little hint of good salt. I personally think this recipe will work better with cashews tor almonds han walnuts, as cashews are more mild. So I will opt for such in the version to come. The cocoa together with the walnuts made it rather bitter; I came to the conclusion that walnuts works better in a crust without cocoa. 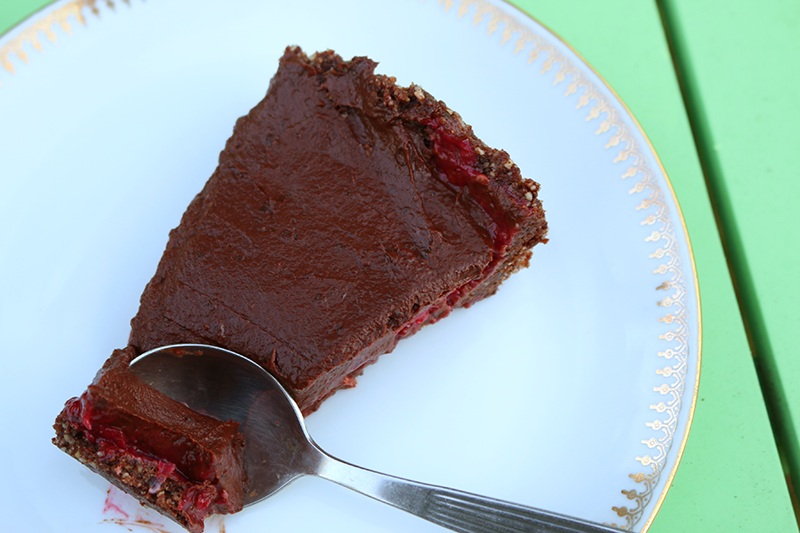 I will also try to make the next version with dates anyway, or a mix of dates and plums for more sweetness. But many will prefer a less sweet version, so stick with the plums and walnuts then. 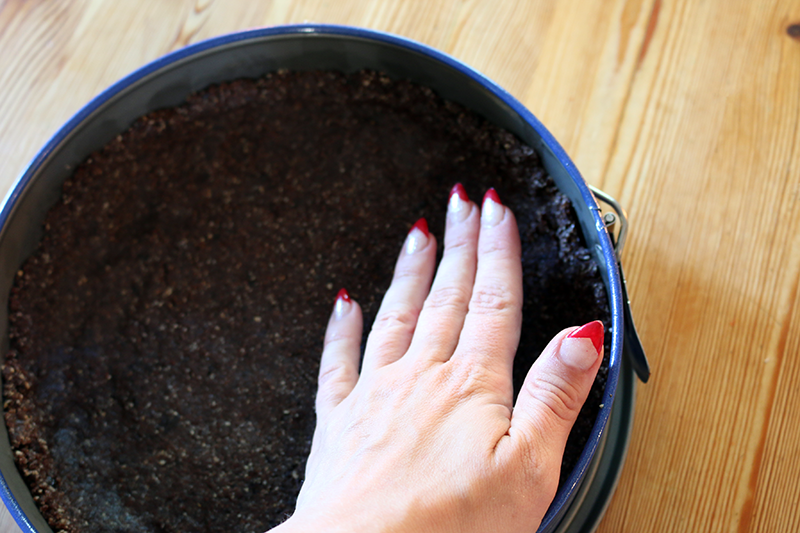 Press out the crust in a non-stick cake mold (or place a baking paper underneath). Put it in the fridge to firm up while you make the fillings. The first filling will be the instant marmalade. 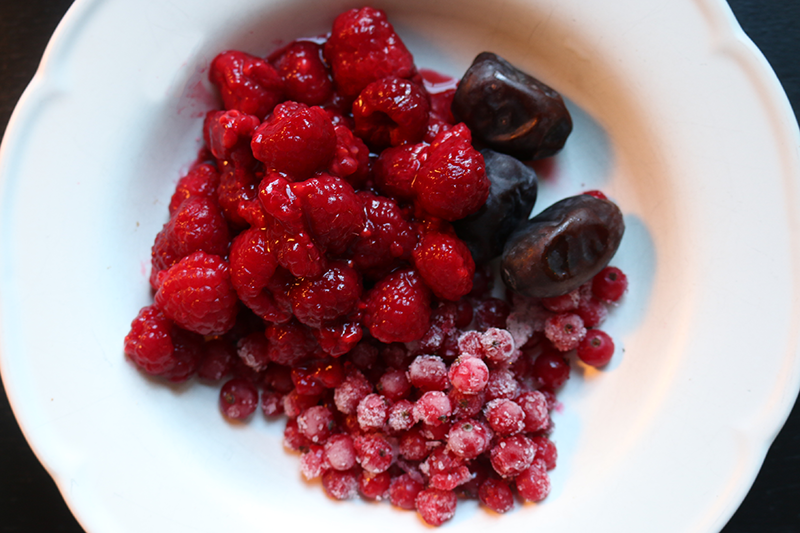 I made mine of raspberries, red wineberries and dates. About 1,5 dl of berries and 3 dates. Mash and mix it together and spread it over the cake. The second fill/ topping is a variation on the magic chocolate mousse, the whole idea of the cake. I have started to add half a banana to it, as sometimes the avocado tastes trough and makes the mousse taste too “green”. 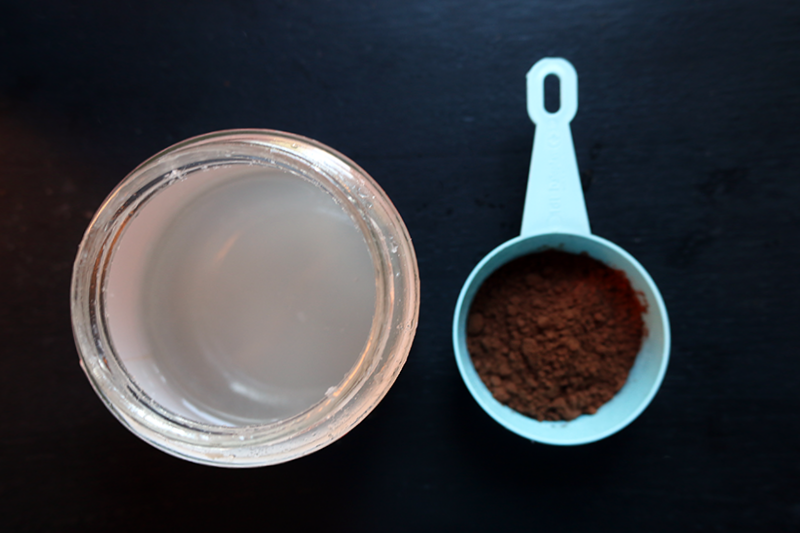 For an even smoother mousse I also add creamed coconut. 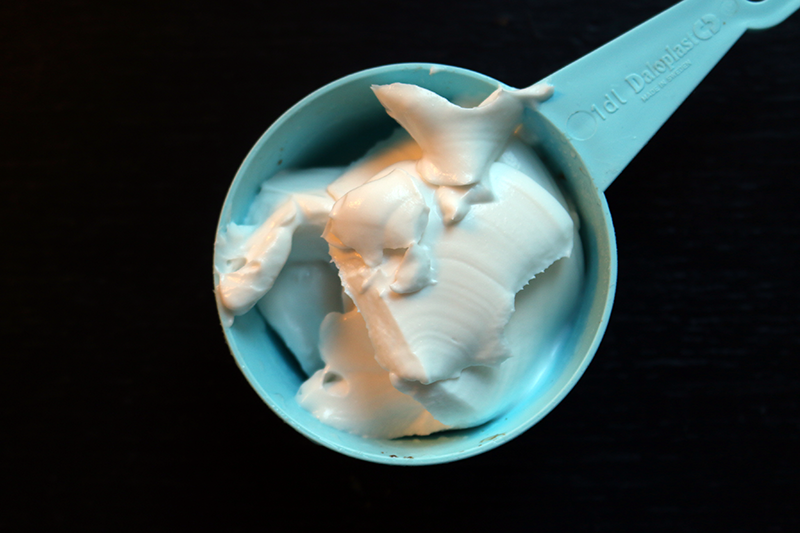 Creamed coconut is not the same as coconut cream; it is firm as a paste. Spread the topping out on the cake and put the cake in the fridge for at least 30 minutes. Raw cakes are said to not, like many other cakes, not get ay better by waiting over night or so, but in this case I still felt the cake tasted better the second day! I might try this with a pale crust (dates and walnuts), no berry filling and fresh fruit on top instead the next time. 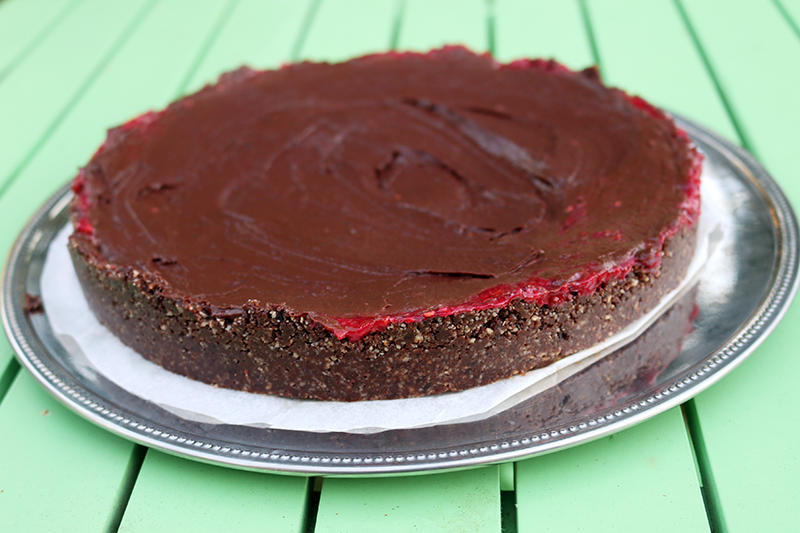 And then I am sort of dreaming of making a triple chocolate version with a dark crust, this chocolate mousse filling but sans the coconut cream, saving that for the third topping; he coconut-chocolate one I used for my raw muffins. But we’ll get back to those once the experiments have been conducted! This looks sooo yummie...I'm definitely going to try this recipe, Thank you! Now this is my kind of pudding thanks for sharing! 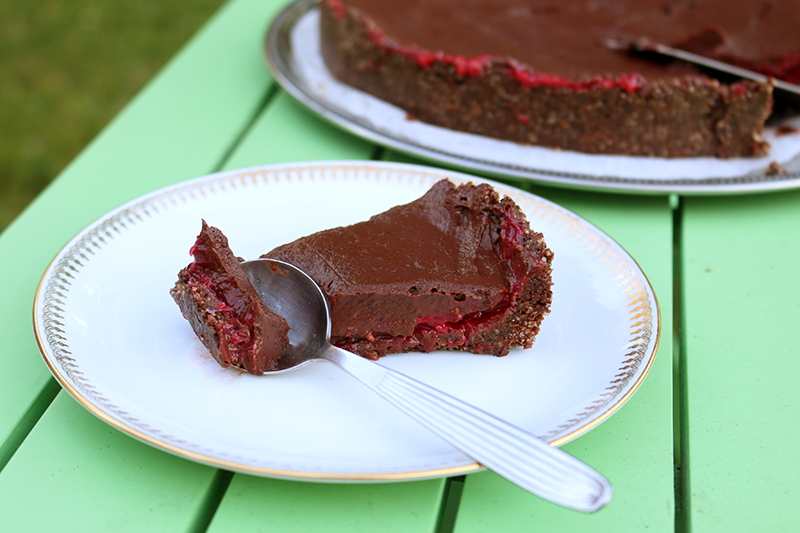 I made your wonderful raspberry tarts topped with chocolate - thank you for getting back to me with the measurements. I translated them to US weights and they were perfect.